I'm very sorry about not showing how to swirl the dough because its hard to work and take photos at the same time! 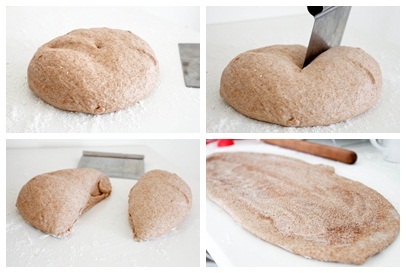 But its fairly simple, fold or roll the dough lengthwise then roll in up in the only possible way left. By the way...the swirl I got did not look very good when cut, but the cinnamon filling is so delicious! I wish I added more. Maybe next time! Roll up the dough and pinch the seams tightly. Place dough in a greased pan or baking tray and let it rise until peaking over the pans or doubled in size. 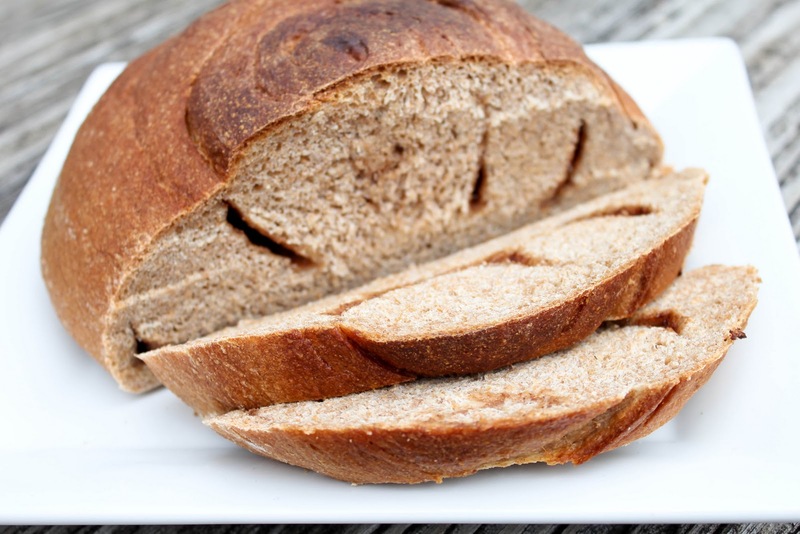 Bake in a preheated oven at 350F for 30-35 minutes, until loaves are brown. 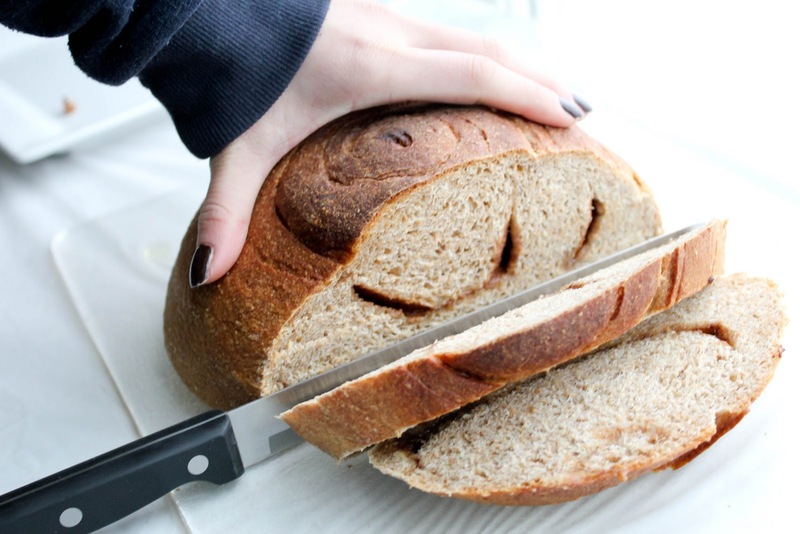 Slice the warm freshly baked bread and enjoy!